After more than a decade of red ink, California is finally celebrating—and being celebrated for—leaving its rocky fiscal past behind. With voter confidence rising, state leaders are turning at last to the state’s daunting retiree health obligations. With the operating budget in balance, lawmakers are slowly increasing spending, while using billions of dollars in temporary tax revenues to pay down debt, bolster reserves, and support schools and social services after severe cuts during the Great Recession. The bloom, though, may soon be off this rosy scenario. In a series of reports called Financing the Future: How will California pay for tomorrow?, California Forward (CA Fwd), in partnership with the California Economic Summit, will be examining the array of fiscal challenges just over the horizon—from a fast-changing economy and sweeping demographic changes to the looming challenges posed by climate change. Over the next few months, these reports will aim to encourage a conversation about what California can do about it, where critical investment is needed, and how to pay for it. This emerging revenue strategy will be paired with the Summit’s own detailed sustainable growth plan, the recently-released Roadmap to Shared Prosperity. In Financing the Future’s first chapter, What about Prop 30?, released today, CA Fwd explores how one existing source of revenue—Proposition 30’s temporary taxes, approved by voters in 2012—is likely to perform in the years to come. While roughly $8 billion of the state General Fund every year is now attributable to the measure’s quarter-cent sales tax increase and income tax hikes on wealthy Californians, these taxes will begin expiring in 2016. Already, a political battle is brewing over whether to extend them. The CA Fwd report finds that Prop 30, while providing a much-needed boost after the recession to schools, in particular, may not be a stable source of long-term funding. Because the measure contributes to California’s increasing reliance on personal income taxes—already 65 percent of General Fund revenues—Prop 30 revenues can be expected to boom and bust just like they have in the past. Only potentially more so: During the last two recessions, income tax revenues from taxpayers in the Prop 30 tax brackets—those making $250,000 and up—dropped by more than 50 percent. With Prop 30 in place, these taxpayers are now responsible for nearly $2 out of every $3 of the state’s biggest revenue stream. In the report, CA Fwd uses forecasts from the Department of Finance and Legislative Analyst’s Office to show how Prop 30 would perform in two likely scenarios: a growing and a declining economy. The CA Fwd analysis finds that Prop 30 could be expected to produce over $8 billion in 2020 if the economic recovery continues, but potentially only half that amount in a recession. 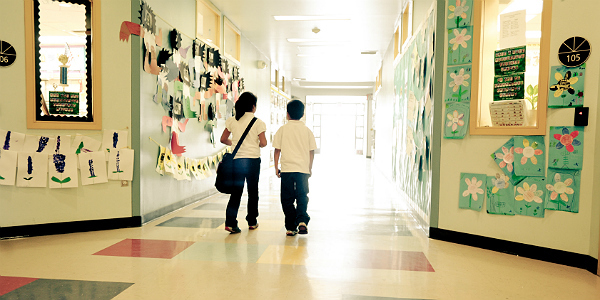 If Prop 30 doesn’t offer the needed balance of adequacy, fairness, and stability, what does? Before the rush begins to look at revenue options, the report urges state leaders to reckon with how they plan to take on California’s looming challenges—from rising income inequality and dwindling mountain snowpacks to an aging infrastructure system and projected shortfalls of millions of skilled workers in the decades ahead. In its next paper, CA Fwd will explore two of California’s most urgent investment needs—the state’s evolving workforce and its aging infrastructure systems—as well as the broad categories of revenue that could be used to support them, including wealth, income, and transactions. Mindful of the fact that voters want more control over how these dollars are spent, the paper also will explore options outside the General Fund that could link revenue to specific investments, regional economies, and community-level governments. In the meantime, CA Fwd invites civic leaders to join this conversation—and to assess these ideas, weigh them against economic, political, and social considerations, and work together to build an adequate, fair, and stable revenue system Californians can rely on. The complete first chapter of Financing the Future: What about Prop 30? can be found here.